I have had the privilege of being elected as chair of the Waitakere Ranges Local Board this term and my colleague Saffron Toms will be deputy chair. Following is the text of my speech that I have to the Board’s inaugural meeting. Can I first thank Mana Whenua for starting our meeting and our term in a most appropriate way. Can I thank everyone for attending this the inaugural meeting of the third Waitakere Ranges Local Board. Special thanks to Senior Manager and proud westie Penny Pirrett and also to our local manager Glenn Boyd who is a calm thoughtful and dedicated servant of the Council. I should also thank Tua Viliamu who is our always cheerful always helpful assistant and Shaz who has visibly aged trying to keep us organised and on point. To Metiria Turei tēnā koe. We all admire and share with you your desire to protect and enhance the environment. A very special thanks to our family and friends who put a huge effort into getting us elected and had to put up with the stress and tension and drama of an election campaign. On behalf of each of us can I acknowledge you and thank you for everything that you did for us. And can I acknowledge on behalf of all politicians here that we all, and I repeat all, go a bit crazy during election campaigns. May we all return to sanity so that we can all work for the benefit of our community. To outgoing Chair Sandra Coney can I express my personal acknowledgement of the tremendous job you did as chair during the past three years. It was your decision to not seek reelection so that you would have more time for other matters. But for your decision I am very confident that you would have been re-elected as chair. And can I thank you for years of sterling work for the west as a Regional Councillor and as a super city councillor as well as your time as chair of the local board. This is the third such meeting that I have had the privilege of attending as an elected representative. Denise, Neil and I were members of the inaugural Waitakere Ranges Local Board along with Janet Clews, Judy Lawley and Mark Brickell. The board and the super city were absolutely brand new and I think it is fair to say that none of us knew what we were letting ourselves in for. The first year was frankly turmoil as the organisation was completely redesigned from the ground up and the officers and the elected representatives grappled with what our job actually entailed. It took us a while to get the hang of things but gradually our means of doing the work and relating to our communities improved and by the end of the term I thought that we were making a difference. The second term I have felt has been more effective. Roles and expectations have settled down. Thanks to the change to the board from the election of Sandra Coney, Saffron Toms and Steve Tollestrup our desire to speak out on issues that we considered important increased and we were often heard. Whether it was the fate of an ancient Kauri tree, oil drilling off the West Coast or Taylor Swift and protection of Te Henga dotterels it seemed that controversy was never far away from us but we were happy to say loudly what we thought should happen. This area has been my home for 29 years. I have learned during that time that there is a deep fondness for the area and a deep desire to protect the ranges, the foothills, our west coast beaches and the abundant vegetation around us. I believe that this board’s environmentally protective beliefs accord with the dominant social values out West. 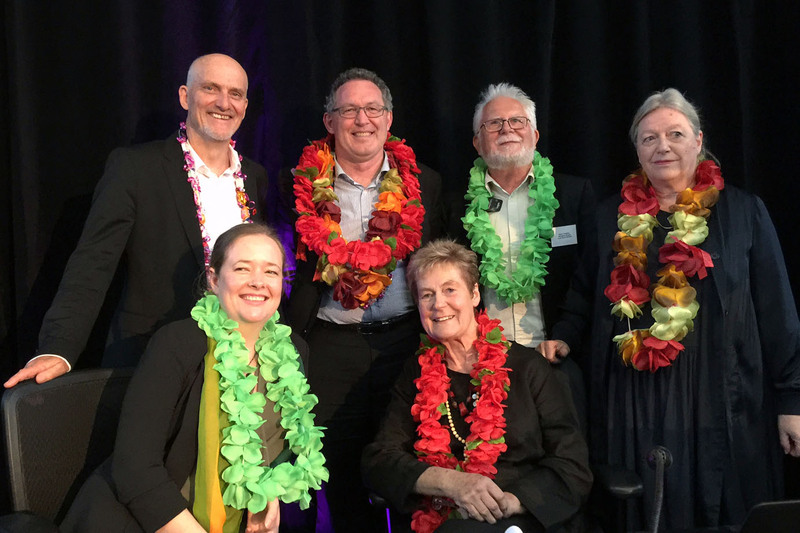 This term in making our part of paradise better one decision at a time there are seven areas the Board wishes to pay particular attention to. The first is climate change. That most intractable of problems urgently needs not only international and national action but also local action. This is why the board wishes to start a sustainable villages project whereby we will talk to local communities about the importance of solar power and wind power, of intelligent energy grids and fostering alternatives to car use. Individual changes in behaviour and lifestyle multiplied across the west can make a considerable difference and we believe we have a role in achieving that change. The second is the housing crisis. I cannot understand how in a nation as wealthy as New Zealand we have working people and their kids living in cars. And that our young teachers and police officers and nurses cannot afford to buy their own home in Auckland. The causes are complex and varied but each branch of Auckland Council needs to stand up and do its part. The third is Glen Eden renewal. Glen Eden is a wonderful village full of great people. And it is resilient. It just keeps on keeping on. It is also the centre of an area that will experience considerable growth and the railway station will be utilised more and more as the current growth in PT continues. To get Glen Eden fit for the future it needs a major make over now. One hopefully which will result in it being less dependant on cars and where people are happy to walk and cycle and gather. The fourth is Kauri dieback. I understand that we will soon hear that the spread of Kauri dieback is occurring at a terrifying rate and this most magnificent of species is facing increasing threat. Research of the issue and education of local communities on detection and prevention must continue. The fifth is the marine environment and in particular protection of Maui’s dolphin’s habitat. This was one of our priorities in the last term. In particular drilling in Maui’s dolphin’s habitat is something that should be resisted at all costs. The sixth is weeds and pests. Titirangi is unfortunately known as the weed capital of the country. And we are only just holding on. We need to do better. And finally the local board will continue with our oversight role of the Waitakere Ranges Heritage Area. The second five yearly report is due to be completed during this term. The Act informs and guides a lot of what we do and in cases of emergency it is a useful weapon. It creates an obligation for Auckland Council to preserve and enhance the local area and many problems can be addressed by reference to the principles and objectives of the Act. The Local Area Plan areas formulated under the Act need resources so that the LAP objectives are recognised. A lot of work has gone into the creation of the laps. Now the work needs to go into achieving the objectives the communities have identified as being important.